A very nice and modern architecture you can find in very beautiful residential area from Japan. 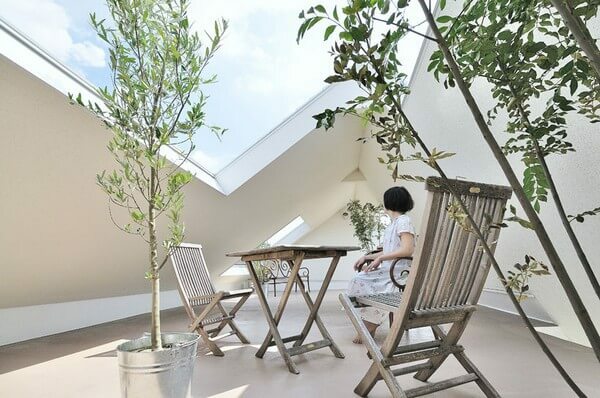 Montblanc house designed by Okazaki-based StudioVelocity is a house that looks like a mountain painted in white, built on a tight site between others houses. As you can see from the photos the Montblanc house is a strong indoor-outdoor connection, achieved through asymmetrical voids in the walls which let the natural light to come in, which gives you the feeling that is a spacious place. On the first level there is a little garden that it fits perfectly in this small space, but very chic designed. Enjoy this great idea for architectural interior design.